Getting new wallpaper installed can definitely add some life to your old, worn out walls ! Every home owner has had dreams of having perfect walls covered with amazing wallpaper that blend into the room. Lincrusta wallpapers are the ultimate wall coverings. They are durable, give a luxurious look and add a dimension that you wouldn’t think wallpaper could add to the rooms in your home. Lincrusta wallpapers offer a wide range of designs and styles that create perfect atmosphere for your home. Lincrusta wallpaper is a very desirable wallpaper choice for many people because of its long-term durability. 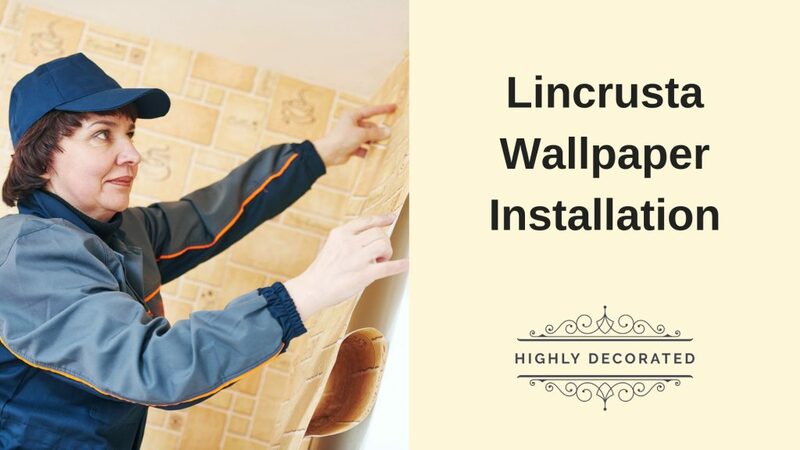 When installing Lincrusta wallpaper, or Lincrusta dado panels, it is important to take a note of the steps that we mention as some of them are unavoidable. It is important to remove old wallpaper or paint before you start with the Lincrusta installation. The next step is to make sure you scrape off all the loose paint or peeling paint, making sure the wall is as smooth as possible. This makes your wallpaper installation a lot easier and less time consuming. It is now time to add the adhesive, but before you do, it is important to know that any glossy surfaces must be sanded in order the adhesive to stay on effectively. When papering ceiling and walls; start with ceiling first. It is recommended that you make sure to put your Lincrusta in a warm place before hanging. Allow the wall surface to dry between each step. This job isn’t easy, and it’s advised to plan your actions as you start the application, so the first and last strips meet in the least conspicuous place. We advise you to avoid wrapping the Lincrusta wallpaper around corners, remember to trim the corner and join at the corner. Take a roller or sponge, spread warm water on the back of the cut strip, cover with plastic and let soak for at least 30 minutes wiping away the excess water in the process. Try matching the pattern and joining the seams. Trim with the help of straight edge and sharp blade. With a rubber roller, apply even pressure to the entire surface. Our Highly Decorated Lincrusta wallpapers are beautifully created and come with wide variety of designs available. They are highly customisable and come with easy installation steps. If you are interested in having a look at the different styles of Lincrusta Wallpaper we have to offer, visit our Lincrusta Wallpaper page, where we showcase all the styles and various designs we have to offer. At Highly Decorated, we offer our Lincrusta wallpaper installation service to all areas of the UK. From Liverpool, to Manchester, to London and Essex. We provide our Lincrusta installation service because we understand how difficult carrying our a DIY Lincrusta installation can be. We are here to make your life easier. If you wish to book a Lincrusta installation from us today, contact us on 020 314 34779 for your free quote today.